Closing out a week’s worth of concerts at The Stone, Ben Goldberg tried something different with his sextet. They played what’s probably the slowest Monk rendition you’ve ever heard. Goldberg has posted the 44-minute piece to Bandcamp, and it’s amazing. The slow piece ended a 12-show series that must have been exhiliarating and exhausting. When I read Goldberg’s explanation of this final concert, I figured it was going to be either academically intriguing (i.e., boring but with an honorable purpose) or humorous, but it’s neither — it’s an amazing piece of group improvisation. For starters: It’s mainly Goldberg who is playing the melody at an impossible 13 seconds per beat or thereabouts. The other players are making sounds at a more normal “slow” pace, which was a relief. No one’s doing a Starbuck’s run or finishing a Sudoku between bars. But the melody lingers and lingers. I actually lose track of it within about five notes. The amazing part comes much later, as the energy builds and the players settle into this environment. They use the languid atmosphere to launch some stunning improvisations. Things do speed up as the piece intensifies, but the overall effect is like a slow sunburst. It really is something. I suspect this is the kind of thing that only works once. That is, if they were to get into the studio to record a slow “Let’s Cool One,” the results would fall flat. It’s an excellent example of music created by the moment, and we’re lucky enough to have it on tape. Check it out; it’s downloadable for free. 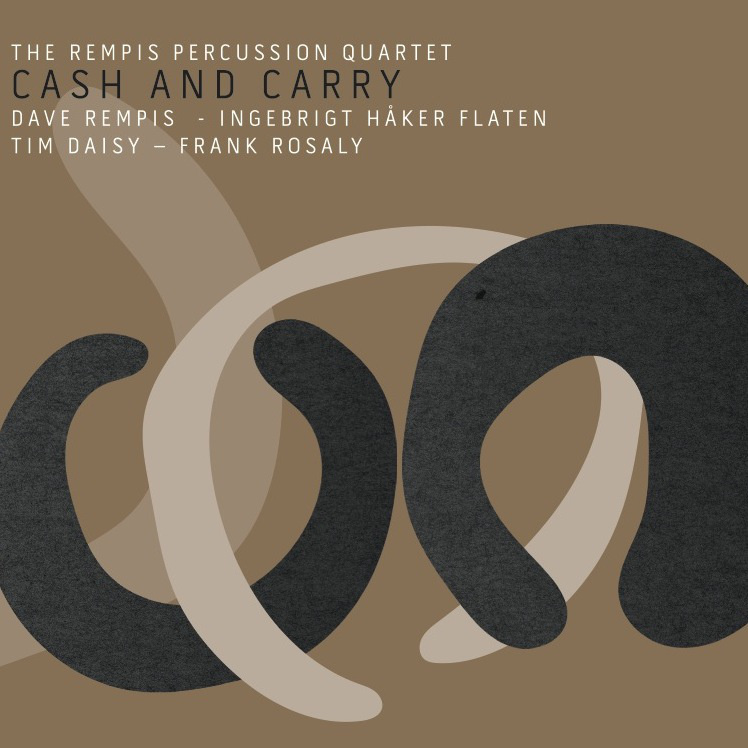 Part of the trick in listening to the opening of “Water Foul Run Amok,” the 39-minute spotlight piece on Cash and Carry, is to not get too mesmerized by Dave Rempis‘ free-jazz acrobatics. He’s shredding it up on sax, with blazing, buzzing passages calling up spirits of all sorts. Sometimes he’s tracing long-lined ideas; sometimes, it’s a gruff, Brotzmann-like phrase that gets repeated a few times for emphasis. He’s spinning quite a tale, either way, one that’s easy to get lost in. So it’s important to take a figurative step back and try to let all this music soak into your skin, not just Rempis but also the bustle and clatter from Frank Rosaly and Tim Daisy, split into separate speakers. Ingebrigt Håker Flaten rounds out the sound on bass, keeping up with fast pizzicato. That blast of activity lasts a little more than eight minutes. The majority of the piece is an exercise in restraint, with the players carefully crafting sounds and moods. The first phase of this, after that initial blast, is more than a simple cooldown; it features some emotive, color-painting sax from Rempis and an ominous bowed base from Flaten. Daisy and Rosaly each get to show their stuff in separate solos later in the piece. It’s a nice showcase for each of them. But the defining moments for the band, in my opinion, come when the four of them are playing full-tilt, creating a unified wall of free jazz. I’d suggest a similar strategy for other bands that double up the rhythm section — the Yoni Kretzmer 2Bass Quartet, which I just reviewed — or the Larry Ochs Sax and Drumming Core and the John Lurie National Orchestra, which I’d compared here. “Better Than Butter,” the other track on Cash and Carry, is more of a slow simmer, gaining energy during its 15 minutes. This is another good taste of the four members working as a unit — first in disjoint, slower motions, carving out the shape of a piece, and then in more of a jam mode. It’s cooking, not at the full-tilt level of “Water Foul,” but at a midtempo step that’s almost danceable during a late stretch where Flaten settles on an ebullient pulse. It makes for a nice ending to the journey, hearing the four members propping up one another to create such a warm, welcoming space. In a 2012 New Yorker essay, Mike Spies considered what’s lost when we have so much music so freely available online. I sympathize. When buying physical CDs and records, the randomness of something being there helps me savor the discoveries, partly by limiting the input. But it only works with a handful of items. Whenever I come out of a store with, say, a dozen CDs under my arm, I find half of them unlistened-to months later. It’s as if the seeking and digging, and the time spent in the store considering, creates a well of potential energy that’s infused into the music. I revel in that speedier process of discovery, too. And yes, the fact that it’s cheaper helps. But I’ll always love record stores, and bookstores, and the tactile experience of searching and learning. I’m grateful to live in an area with substantial record stores — Amoeba, Streetlight, Rasputin — and I savor what little browsing time I can get. Every generation sees some of its greatest loves obsoleted — processes, objects, skills, artistry. Things that transcend tradition and habit. Maybe record stores aren’t any different. But given how many people share my sadness about what’s being lost, it’s clear that the love of records runs especially deep. The disappearance of record stores is like a piece of our souls being taken away. There are benefits. But we’ll mourn for what’s lost. P.S. Regarding eMusic — note that I’m talking about music being inexpensive, not free. Big difference, as Ben Allison articulates here. P.P.S. Turns out Bjarke Mogensen has a new album coming out next month. 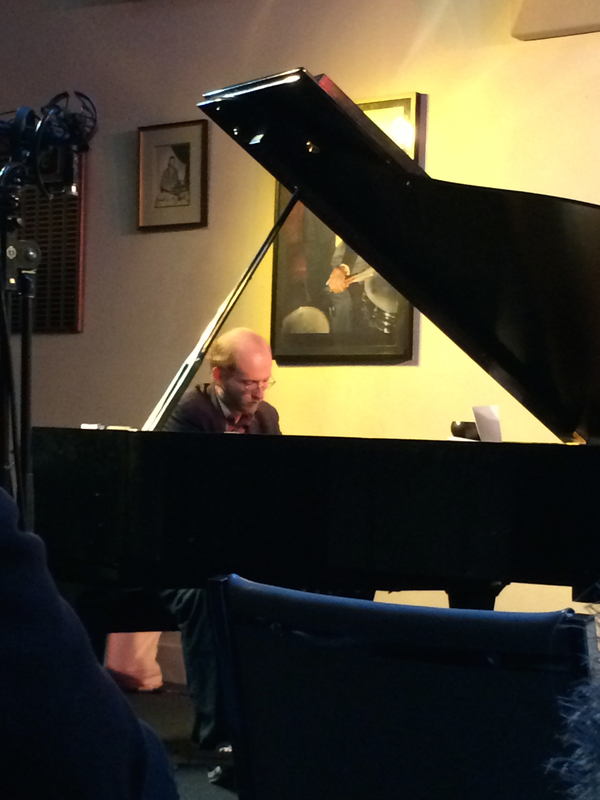 I went to the SIMM series concert on Aug. 9, seeing Brett Carson on solo piano and Noertker’s Moxie, the SIMM house band. Carson, by contrast, showed off his piano chops in long stream-of-consciousness pieces where ideas and motifs overlapped like dreams. He played hard — fast, loud hammering that was still graceful as he splashed rivers of notes up and down the keyboard, sometimes sprinkling bits of jazz or classical ideas into the mix, occasionally settling on a spiky riff. Avant-garde inside-the-piano plucking and scraping featured heavily in one piece and was interesting, but it’s his conventional playing that really sold me. The piano pieces were interspersed with readings of Carson’s poetry, equally dense and complex, spoken in a humble, unassuming voice. Noertker’s Moxie is a name that more Bay Area jazz fans should know. Bassist Bill Noertker‘s band, with a varying cast of characters, does use elements of free improvsation and some experimentalism, but the foundation is the full spectrum of jazz composing and soloing. Annelise Zamula has been an able front woman on sax and flute, fitting the multiple personalities that Noertker’s compositions call for: swing, bop, abstract improv, and a touch of cartoony humor. Noertker’s Moxie was a quartet this time, including Jordan Glenn on drums. Eli Wallace was a monster on piano, pulling out all the stops on “Flood Mood.” The song is based on a nice ’40s swing, but Wallace’s solo went for kind of an incongruous double-time, a 78 r.p.m. flow in an 33-1/3 world. A couple of “haiku” compositions followed 5-7-5 patterns in terms of note counts (not time signatures, but simply the number of notes); one was quiet and thoughtful, while the other was surprisingly upbeat. The set opened with the bright, catchy “Feathers in a Cap,” part of Noertker’s cycle of songs inspired by Antoni Gaudi, and ended with “Wig,” a fun, silly polka that accelerated until (of course) exploding into fragments. Actually, they did an encore as well — a little 30-second composition with an abrupt ending. 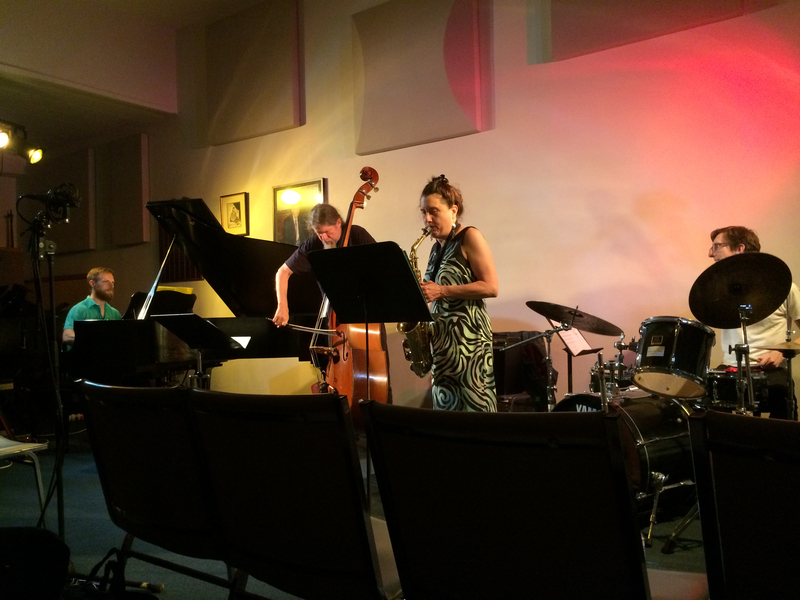 SIMM is a Sunday-evening concert series held twice monthly at the Musicians Union Hall in San Francisco — right downtown at 116 9th St. near Mission. (For those of us who drive, parking is luxuriously easy.) Noertker’s Moxie will be performing there again on Sept. 13, in a quartet format that will include Amber Lamprecht on oboe. The bass can get swallowed up in free-jazz settings. Clashing drums and blaring horns tend to obscure those low-end tones, even with amplification on the bassist’s side. I think that’s why you often see bassists revert to fevered bowing. It certainly fits the intensity of the moment — but it’s also a way to simply be heard. So you might ask what the effect is when a second bass is added. It’s been done plenty of times, Ornette Coleman’s bands being a familiar example — but don’t you risk both basses being equally swallowed up? 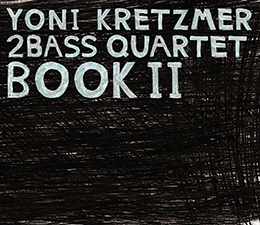 Saxophonist Yoni Kretzmer has been trying the format for a few years now with his 2Bass Quartet, which released one previous album, Weight, in 2012. It’s true that during furious passages, the basses combine into a generalized rumble, where you get the sense there’s some pinpoint execution going on but can’t make it all out. But the doubled-up bottom line, crossed with Mike Pride‘s often fierce drumming, makes a solid foundation for Kretzmer’s improvising, and the relatively small size of the group means both Reuben Radding and Sean Conly get a chance to really say something with the bass. The pieces are guided improvisations, based on Kretzmer’s structures and snippets of composition. That kind of guidance is how they can deliver tracks like “Haden,” which sings in reverent tones between joy and mourning — an appropriate wake for Charlie Haden. One bass bows an anthemic improvised melody while the other holds down the steady rhythm. Most of the songs do seem to have assigned parts. The two basses take center stage on the stark “Metals,” where their deep, metallic sawing plays against Kretzmer’s scratchy curls of sound, as if he’s emulating a bowed instrument himself. “Polytonal Suite” pits a 5/4 bassline against a calmer, slow-walking bass, the combined rhythms backing the attack mode of Kretzmer and Pride. It’s also a little bit polyrhythmic (both basses seem to be on the same rhythm, but Pride is doing something else completely) and adds up to a fun listening exercise. The album culmintes with “Number Four,” a 19-minute opus that’s pushed to a second CD in order to fit the physical format. Patient pedal tones from the basses underlie a continuous scratchy surface painted by Kretzmer. Then there’s a pause, a dark and gloomy moment for the two basses alone, followed by a brisk midtempo jazz jam. The running theme is Kretzmer’s free blowing, of course. He’s adept at carving twisty paths of narrative, sometimes using a feathery voice for a lighter mood (as on “Soft”), more often focusing energy into high-tension wailing or tight, darting growls. Later this fall, he’s planning on recording another album with his New Dilemma, a strings-based band that recorded a captivating debut album a few years back. Definitely something to look forward to.